Idyllic natural setting in a private cove. Waterfront privacy in a secluded setting. 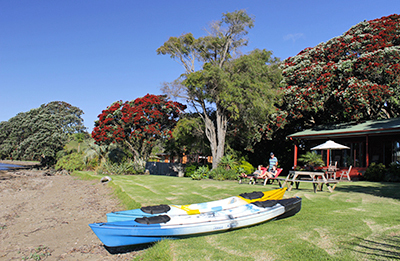 Guests have a choice of two boutique fully self-contained waterfront cottages (Cove and Pohutukawa) – or, in weekends only, bed and continental breakfast in the Main Residence. Discover a stunning waterfront outlook with your own private cove. Enjoy a truly independent getaway in an absolute waterfront setting. 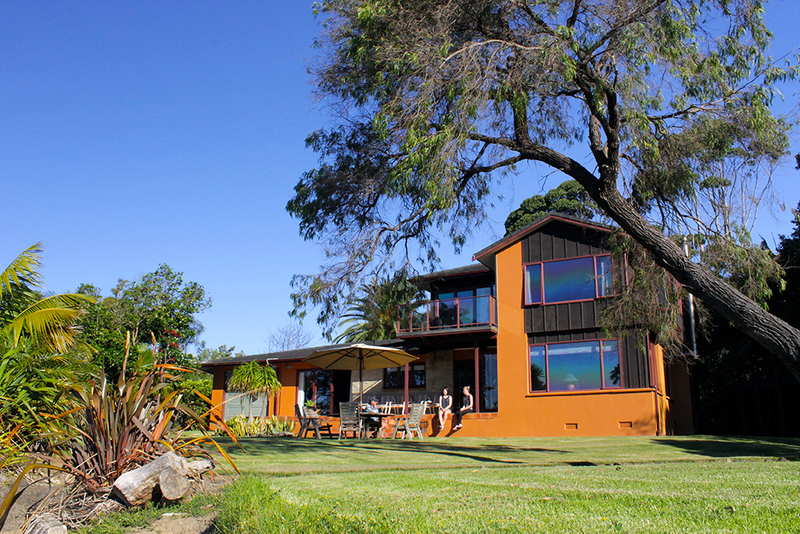 Laze back in supremely comfortable cottages (suitable for one or two couples – no children). 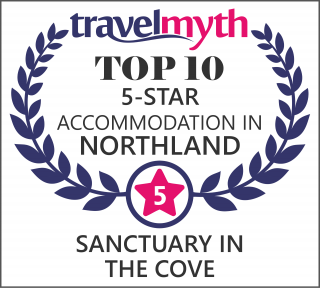 Sanctuary in the Cove is conveniently located between the Far North’s two premier golfing resorts, Kauri Cliffs and Carrington. Guests at our waterfront sanctuary can enjoy discounted green fees when we book their tee times at either of these wonderful courses. We are proud of New Zealand’s pristine, natural landscape and are committed to a policy consistent with our country’s current high global ranking, for environmental sustainability.